Red River Furnace and Duct Cleaning has been servicing furnaces in Winnipeg and surrounding areas for over 30 years. We pride ourselves on offering Top Quality Service, and being The Trusted Name in Winnipeg. The cold winter climate in western Canada can make it difficult to keep warm. 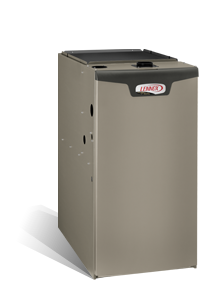 Our preferred brand of Furnace to install is Lennox because of the quality, reliability, and excellence they provide. When we come to your home for your Free In Home Consultation, you’ll feel just like a pro too! We will sit down with you and give you all the information you need. If you would like a quote to install a different brand of furnace, we can do that as well! With financing through Manitoba Hydro Power Smart Loans available, you can feel comfortable knowing that you and your home will be taken care of right away! Give us a call today for your Free In Home Consultation. Click any of the four common furnace models below to view details about each model directly from the Lennox website. We understand both your schedule, and your furnaces. Unfortunately, most of the time your furnace’s preferred time is 2:00 AM in the middle of Winter. If ever your furnace breaks down, no matter the time of day or night- give us a call! We have Technicians on call 24 hours a day to ensure that we can keep you safe and warm! We will find the issue, and have it repaired in a safe, and quick manner, getting you back to your busy schedule with little disruption. Regular maintenance on your furnace will help ensure that you get the most out life out of it. Give us a call so we can make sure everything is running at peak efficiency. We offer a 20 point furnace inspection for only $99.95, With an option to bundle a standard furnace cleaning package for only an additional $60.00. Our 20 point furnace inspection will make sure everything is operating at peak efficiency, and our licensed Journeyman will be able to provide you safe repair options when required in order to save you the most money.